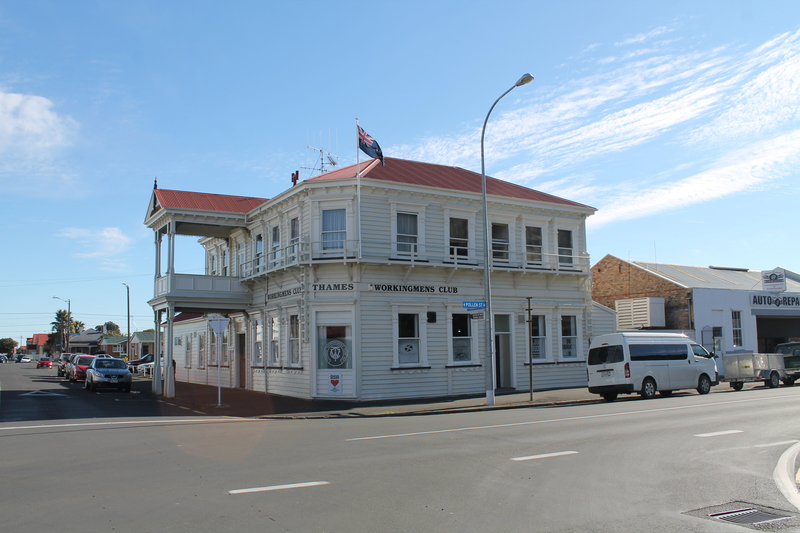 You will find the club at the Northern end of the town on the corner of Pollen and Cochrane Streets. 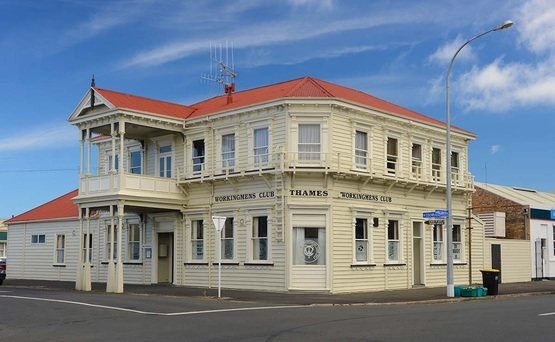 What once used to be the Cornwall Arms Hotel, one of the 90 odd hotels that serviced the community during the gold rush days and beyond, this graceful old building is now the home of the Thames Workingmen's Club, often referred to as the “workies”. You will find a great bunch of people inside, when you visit on your way around the Pacific Gem, the Coromandel Peninsula. Our kitchen is open for meals from 6:00 pm Tues, Thurs, Fri and Sat until 8:00 pm. Other times by arrangement. New members always welcome, apply at the bar or ask any member for an application form. Happy Hour & Handle Draw Thursday’s 5:30 p.m. – 6:30 p.m.
Raffles every Tuesday & Thursday from 5:00 p.m. Friday from 6:30 p.m.
How good is your memory? Get a team together and join in the fun! Held at the club on the 1st Monday of the month at 6:30 p.m. Phone 868 6416 for information.